Much interest is given to attracting new settlement in rural, peripheral areas due to long-term population loss. The ideal type of settler is identified as families with young children. However, various studies on rural migration show that migrants are a mixed group of young, middle aged and older couples and individuals as well as families with children. A large part of the migrants have jobs while other are unemployed or on other types of social welfare. 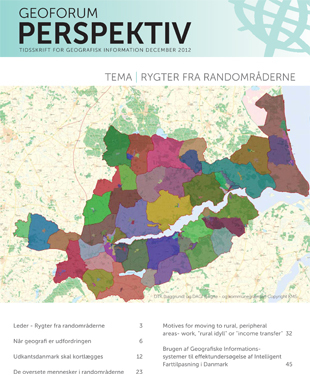 In a Danish context a key hypothesis is that especially welfare recipients and those outside the labour market settle in rural, peripheral areas due to low housing prices. This article explores which groups of people move to rural areas in Denmark and why they chose to do so.